We will provide the rail transportation, lunch, snacks, and drinks aboard, and the Saturday night party. You will have to handle any air transportation and the hotel rooms. We have blocks of rooms reserved in Emeryville and in Reno. Patricia and Jerry will stay at the Emeryville hotel Thursday night to hang out with out-of-towners and other early travelers. Maps to the Emeryville hotel and AMTRAK station are below. Emeryville Parking -- For locals driving to the train station. The AMTRAK parking lot is free and next to the station. A map is below. Emeryville Hotel -- Four Points Sheraton -- phone 800-325-3535 or 510-547-7888 -- reference "Wagner Birthday Group". Four Points is just a block from the Emeryville train station. Reno Hotel -- Harrah's -- phone 800-423-1121, and ask for Merri Aldis at extension 3095. The reference group code S11JERR Harrah's is just a block from the Reno train station. Possible schedules are below, but all should attend the Saturday night birthday banquet!! Friday night and Saturday during the day will be free time/playtime. 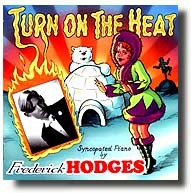 At the party, Frederick Hodges, popular pianist with Don Neely's Royal Society Orchestra will provide an evening of syncopated melodies penned in the 'teens and 'twenties by the likes of George Gershwin, Noel Coward, Nacio Herb Brown and other tunesmiths of that glorious era. And your requests. Casual cocktail attire. Neck ties and period attire are fine, but not necessary. Jerry plans to wear a sport coat over an Aloha shirt. Patricia will be wearing a short Versace and pearls. Let us know whether you want chicken or steak Saturday night. We just learned that Harrah's cannot do rare steak at a banquet. They shoot for Medium Rare to Medium. If you want it well done, they said you can send it back for some more heat, but with 75 people, the initial service has to be pretty uniform. Sorry. Award winning wines will be served courtesy of Patricia from her relative's winery (Landmark Vineyards, see http://www.landmarkwine.com/story.html) including their limited production Damaris Reserved Chardonnay. Landmark wines will also be poured on the railroad cars. 1 Chicken Piccata: Breast of Chicken coated with Parmesan Cheese, Saut�ed with Capers, White Wine and Lemon Juice. 2 Filet Mignon: Broiled Choice Filet Mignon topped with Garlic saut�ed Mushrooms. Cooked Medium Rare-Medium. Please let us know ASAP which Schedule and Saturday night meals you prefer -- the train cars have limited capacity. email us at wagner@ourtoolbox.com to let us your preference and the number in your party. Out-of-towners need to fly into Oakland or SFO on Thursday, Nov. 13, as the train boards at 9:00 AM Friday. Flying out on Sunday evening is problematic as the Southbound train is often late. Its scheduled arrival in Emeryville is 4:50 PM and it will take 30 minutes to get to the Oakland airport and 45 minutes to SFO. Hotel is one block from the Amtrak station.